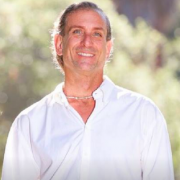 Greg Friedman is a modern version of that which has existed in every culture, a spiritual guide and mentor. He builds bridges and clears paths, in part, by taking the ancient wisdom of indigenous cultures and making it applicable to our everyday lives. Greg works with clients one on one, in workshops, as a couples’ referee and translator, as well as taking small groups of people all over the world to work with indigenous elders with shamanic traditions in remote destinations. He has studied and done ceremony with Peruvian Shaman, Aborigine elders, and elders from various native American tribes including the Yaqui and the Abanaki. Greg has taken people deep into the Amazonian Rainforest to work with Carlitos, a Shipibo Shaman and up to Machu Picchu to hear Kucho tell the stories the anthropologists don’t even know. In Australia, Greg took people to Uluru to hear Elsie share the creation stories and into the tropical Daintree Rainforest to experience the Aborigine healings done through didgeridoo song and music.